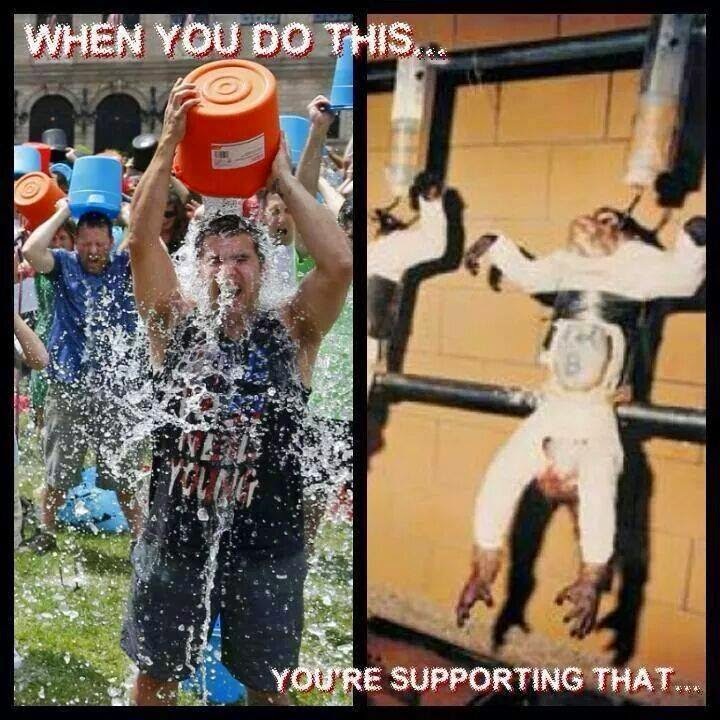 WHEN YOU DONATE TO ALS VIA THE ICE-BUCKET CHALLENGE, YOU’RE DONATING TO ''ISIS PHARMACEUTICALS'' WHO HAVE ALREADY PATENTED A DRUG FOR THIS DISEASE. They have already patented a drug for ALS in 2007 so any money donated will not go to help finding a cure...but we are sure the shareholders will be most grateful. The majority shareholder is Monsanto, the most Evil company on Earth, creator of Agent Orange, aspartame, read more about Monsanto here. 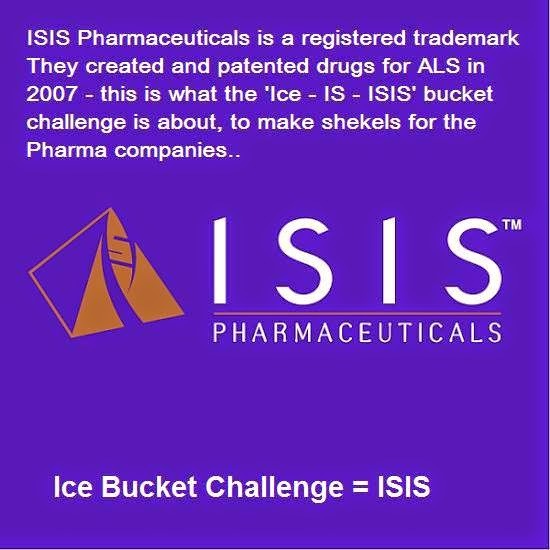 ISIS Pharmaceuticals is a registered trade mark - When you donate money to the ice-bucket challenge, your money goes to ISIS Pharmaceuticals and their shareholders. In 2007, ISIS Announces ISIS 333611 patent Granted Orphan Drug Status for Treatment of ALS [they have over 2,500 patents]. '..Our antisense technology provides a direct route from genes to drugs with the opportunity to dramatically improve the productivity of the pharmaceutical industry with 19 new drugs in development; we have one of the largest and most diverse pipelines in our industry..' - Isis Chairman and Chief Executive officer, Stanley T. Crooke [no surprises with his name]. ISIS is ALSO a Monsanto paramilitary group based in Washington DC; as well as a massive Pharmaceutical company, which has been investing in the treatment of neurological disorders such as ALS [Lou Gehrig's Disease].